It's a debate that's been going on for a decade: Is Tom Brady better than Peyton Manning? Tom Brady has more championships, so the conventional wisdom would say that yes, Brady is superior. But I think this week's season opener proves otherwise. 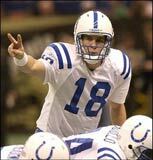 This Sunday marked the first time since 1997 that Peyton Manning was not the Indianapolis Colts' starting quarterback. Championships aren't the only measure of quality for an NFL quarterback. Remember, Dan Marino never won a Super Bowl. He's easily the best player in Super Bowl era of NFL history to have never won a Super Bowl, and he's one of - if not the - best quarterbacks in history. And Manning does in fact have a ring! He won it against my Bears in 2006. But if somebody was going to beat the Bears in the Super Bowl, I'm glad it was Manning. The guy deserves it! So how else can we compare them? When in a leadership role like quarterback, I think one of the biggest criteria for the quality of that player is to compare how the team performs with him against how the team performs without him. We already know that the Patriots are capable of performing well without Tom Brady. In 2008, Brady was injured and replaced by Matt Cassel in week 2. It was Cassel's first start in a football game since high school! Brady had suffered a serious knee injury, and so Cassel was the Patriots' starting quarterback for the remainder of the 2008 season. The team won 11 games, but did not make the playoffs due to Miami and Baltimore holding playoff-qualifying tie-breakers over them. So it's easy to see that the Patriots are a well-oiled machine that are set up to win regardless of personnel. This has been proven time and time again as they have lost many major players to injury over the past decade, only to have the replacement perform admirably and for the team to be successful. But we never got a chance to see how the Colts could perform without Manning. Now, it might be a bit early to rule the Colts out for the season. They might still win some games, and Peyton Manning might be back for the last month of the season. So if the Colts can eke out 6 wins or so, and get Manning back in time for the last 4 or 5 games of the season, they might make the playoffs. And keep in mind that one of the Texans star players (last year's NFL rushing leader, Arian Foster) was sidelined in this game with an injury too! When it all comes down to it, Tom Brady inherited a successful team. The Patriots were a playoff team in the mid-to-late 1990's, and Brady took over the team when they were coming off their only losing season since being beaten by the Packers in the 1996 season's Super Bowl five years prior. Peyton Manning, however, inherited a 3-13 team that saw only three winning seasons in the decade before he got there. With Tom Brady, the Patriots are an offensive juggernaut. Without him, they're still a competitive, winning team. With Peyton Manning, the Colts have been a perrenial playoff team. Without him, they weren't even able to compete! 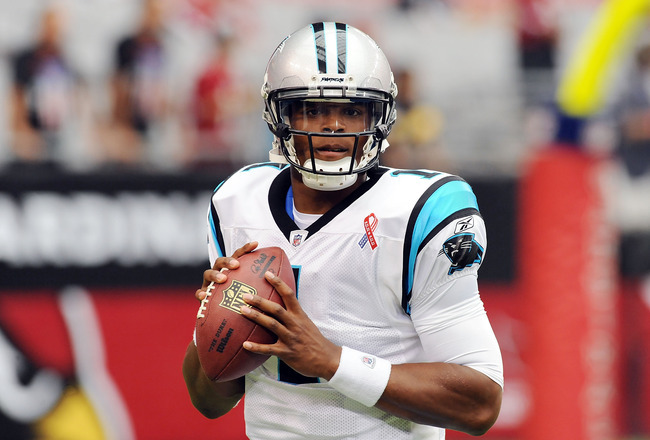 Worth noting: On the first week in which Peyton Manning did not play since he was drafted, Carolina Panther quarterback Cam Newton broke Manning's record of throwing for the most yardage in a rookie debut in a losing game. Oh the little ironies of life.